Cars have been in my blood as long as I can remember. Pat posing by the car during the first season. My first experience behind the wheel of something with a motor was a go kart my older brothers put me in they tied the throttle wide open and away I went. My first car was a 1960 Austin Healey Bug-Eye Sprite.I convinced my Dad it would make my Mom a great run around town car.I don’t remember that she ever got to drive it!I drove that car like Jimmy Clark drove his Lotus flat out. 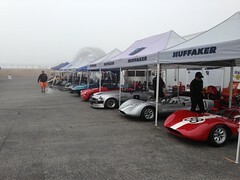 21 to get a competition license(18 to go to Vietnam but 21 to race go figure).My older brother Tim was just getting out of the service so with the purchase of a “G” production Austin Healey Sprite I became the car owner and Tim became my driver. 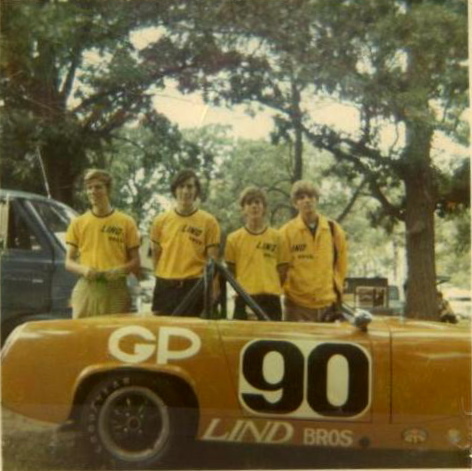 Here's original Lind Bros Racing, back when it was all the brothers. thru turn one at Mid America Raceway with out lifting off the throttle I knew I was out of a ride! 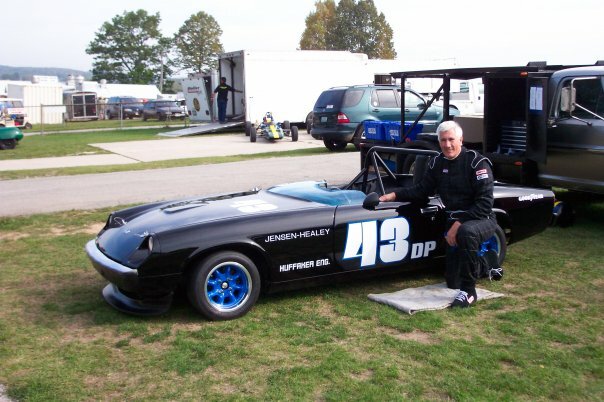 prepared Jensen Healey. Tim would drive the Jensen Healey and Jim would drive the Austin Healey. My job was to keep them running. We ran those cars until the early 80’s when jobs, families ,and reality set in. and I was back in business. Pat, My name is Skip Campbell skip@ehcincorporated.com I was cleaning a head for our 62 MG Midget Vintage 1100 car and and found “PATLIND” H.H.62.79 punched on it. ohio in I think “98” and moved to west coast. I finally rebuilt and have been auto crossing with it for fun. Have no idea how or where we got this head. We have always scrounged for low buck parts to help us go fast. It has been a great hobby for us, unfortunatly he is in Oregon raising family and I just sold my business and trying to put things back together. Are you in Phoenix? I will be out there golfing the week of March 4th, maybe we can have a beer. Anyhow would love to hear back from you if you can remember anything about this head. Hey Ed, Riley here (Pat doesn’t know how to use the website!) Things are well with us. 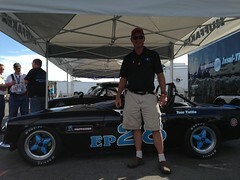 We still have the Elan, although we’ve flirted with selling it every now and then.